City dwellers are making do with smaller and smaller spaces these days, but that doesn’t mean we have to sacrifice style and function. 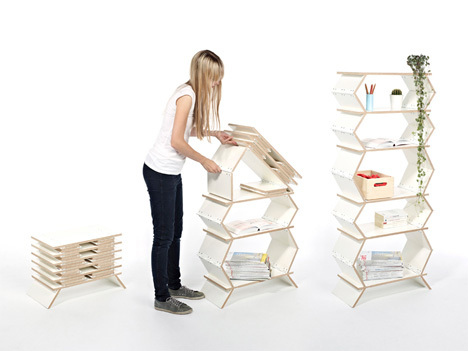 From bathroom fittings that clamp onto a towel bar to luggage-like portable kitchens and even furniture that folds down as small as a notebook, these 12 clever designs for compact spaces make the most of the limited square footage that tiny apartments have to offer. 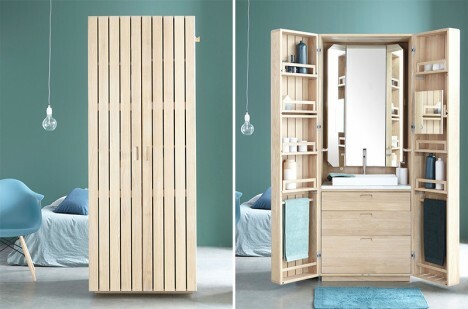 Inspired by the cabins on ships, this wooden all-in-one bathroom design looks like a wardrobe when it’s closed, but opens to reveal a sink, mirror, towel holders, drawers and shelves for all of your toiletries. It’s small enough to fit inside most standard bathrooms, so the only other items you need are a toilet and shower. 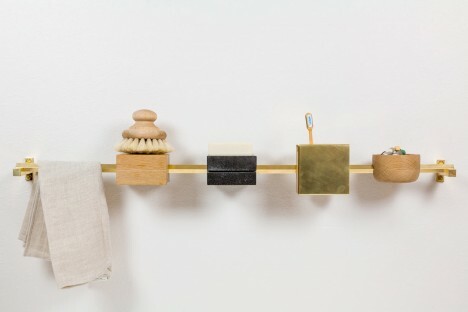 A space-saving set that’s easy to adapt to virtually any existing bathroom, the ‘Simplify’ set by Groupworks slots small accessories onto a special towel bar to keep them up out of the way. 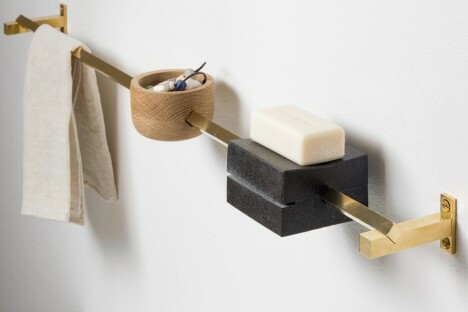 There’s a soap dish, a vessel for small items like rings, and a larger box that can hold toothbrushes and combs. Even apartment dwellers who are lucky enough to get access to a balcony usually don’t have enough space for tables and chairs, planters and clothes drying racks all at once. 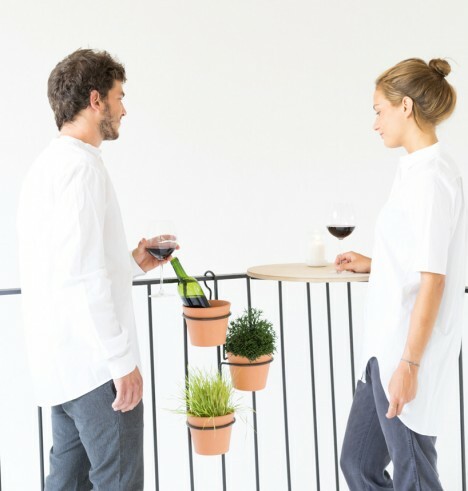 The ’Sigh’ set by Spanish designer Pola Clapés is made specifically for such small outdoor spaces and includes tables in three sizes, a three-tier hanging planter and a clothesline, all of which easily hook onto a standard railing. 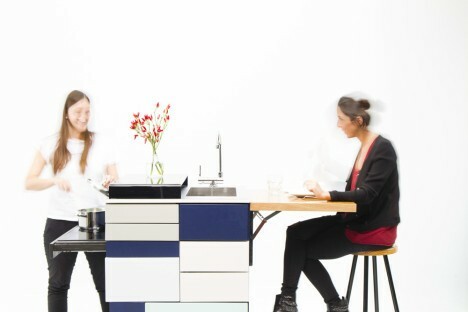 Literally any space with plumbing and a bathroom can become a studio apartment with the addition of the ‘Gali’ module by designer Ana Arana, which makes most basic kitchen functions portable. 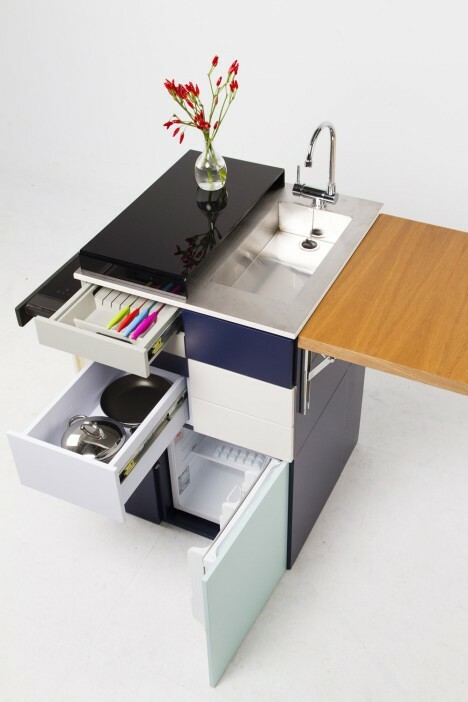 Four luggage-like modules come together to offer an induction cooktop, refrigerator, sink, drawers and a combination prep/dining table. The idea is that single people who do minimal cooking can just take their kitchen with them from one living space to another, and don’t have to sacrifice precious square footage for functions they don’t need.